AOC’s latest addition to the AGON series of gaming monitors, the AOC AGON AG251FG gaming monitor, will let you choose between playing at Full HD 1080p resolution with 200Hz refresh rate or at 1440p with a solid 144Hz. In addition to this unique ability, the AOC AG251FG will provide you with the rapid 1ms response time and Nvidia G-Sync technology for the smoothest gameplay experience. Now that even ultra-wide displays are getting 200Hz, such refresh rate may not be as exciting when seen on a 24.5-inch TN panel display. What is exciting, however, is the unique ability of the AOC AGON AG251FG monitor. Depending on the video game you’re playing and the settings you prefer, you will be able to choose between 1080p and 1440p resolution, and 200Hz and 144Hz respectively. In both scenarios, G-Sync synchronizes the frame rate between your compatible Nvidia graphics card to the AOC AG251FG. While G-Sync takes care of screen stuttering and tearing, the 1ms response time speed eliminates ghosting of the fast moving objects in the fast-paced video games. In combination with the 200Hz refresh rate, you will have all the prerequisites for the high-end professional and competitive gaming. On the other hand, when you’d rather focus on the details in video games, you can simply set the higher resolution and enjoy the better image quality with a still responsive gameplay at 144Hz. The TN panel has its disadvantages though such as poor viewing angles (170H/160V) and bad color reproduction in comparison to IPS and VA panels. Alas, if you plan on using the AOC AGON AG251FG mainly for gaming, the viewing angles won’t affect you while sitting in front of the screen. Additionally, the panel offers 8-bit color support through dithering (6-bit + FRC), a rather strong 400 nits of brightness, and a high dynamic contrast ratio which all together promises a vibrant image quality. 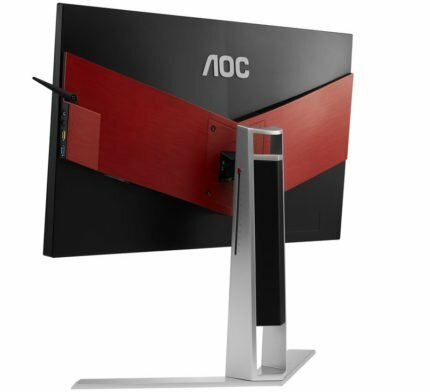 The AOC AGON AG251FG gaming monitor will also include the common AGON series features such as Shadow Control for better visibility in the dark scenes, flicker-free screen, and the low blue light filter for long gaming sessions without feeling eye fatigue. Nvidia G-Sync also includes the ULMB (Ultra Low Motion Blur) features which cannot be used at the same time as G-Sync, but significantly reduces motion blur in video games. The AOC AGON AG251FG offers everything gamers seek when it comes to the design of a display, such as the headphones hook, a carrying handle for easy transportation, and the full ergonomic support. Extensive ergonomics include VESA mount compatibility, pivot, tilt, swivel, and height adjustment with a measuring scale while the screen is coated with a matte anti-glare finish. There are four USB 3.0 ports, two of them at the sides out of which one supports fast charging. Additionally, the AOC AGON AG251FG offers an audio line-in port for the 2x2W built-in speakers, the headphones jack, and a microphone line-in port. Display connector ports include a DisplayPort 1.2, and an HDMI 2.0 port. G-Sync is supported via the DisplayPort and its range is 48 – 200Hz, although the range is not specified for 144Hz mode at 1440p. The AOC AGON AG251FG price will amount to around $675 once it’s released. It’s a bit costly price for a 25-inch TN panel especially with all the new cutting-edge displays on the horizon. Nevertheless, due to its wild 200Hz refresh rate, G-Sync, quick response time, and the exclusive dual resolution feature, it will undoubtedly appeal to a certain group of professional players. 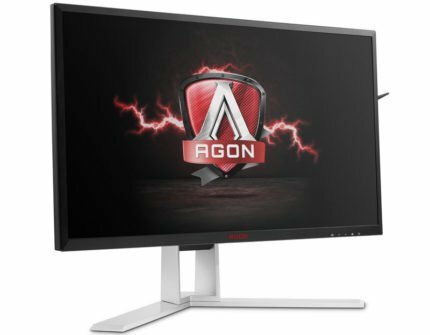 This monitor is also already available with FreeSync instead of G-Sync as the AOC AGON AG251FZ model. It also sports 200Hz and other features except that it’s 1080p-only and $120 cheaper. The AOC AGON AG251FG release date is scheduled for August 2017. The AOC AGON AG251FG display will deliver a fluid performance fit for the high-end professional players with a unique ability to function with two different resolutions. For most people, a 24.5-inch display may be too small considering its price while others will be repulsed by its TN panel due to bad color accuracy and viewing angles. 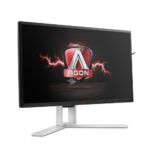 Regardless, the AOC AGON AG251FG G-Sync monitor is aimed at a peculiar group of gamers who can’t make up their mind between state-of-the-art performance for competitive gaming and a high-resolution display. Now, if only the panel could also metamorphize into an IPS when in the 1440p resolution mode, that would be swell. On a more serious note, we’re actually looking forward to seeing this display in action as well as how the 1440p resolution turns out on a 24.5-inch display with 120 pixels per inch. The AOC AGON AG251FG offers a unique ability to change between [email protected] and [email protected] which is its main asset. In addition, it features G-Sync and 1ms response time speed for the smoothest gameplay experience possible.